Texas Country Music artist, Brandon Rhyder, is not only TCMA’s Spokesperson for 2018 forward, but will again Host and perform at the ceremony. Co-hosting the Awards along with Rhyder is well known East Texas area entertainer Jenn Ford. Live performances and awards presenters from at least four decades of Country music artists will include not only Brandon Rhyder and Jenn Ford, but also Curtis Grimes, Brian Black, Doug Supernaw, Red Steagall, Holly Tucker, Bri Bagwell, Cody Wayne and Christian Country Artist Del Way. Comedian and Festus impersonator Mark Staggs will also be on hand again for 2018. Several more performers and Award presenters will be announced later as their schedules are confirmed. Popular Record Producer Chad Mauldin with Mauldin Productions will produce the Awards again for 2018. The TCMA’s genres cover primarily Country Music and Christian Country Music. “We have members not only from Texas but all over the United States and around the world.” says Wilson. “The Texas Country Music Association’s growing membership as well as the directors and advisory council members continually work together to assist, promote and support the industry and its artists by creating opportunities, marketing and promotion of its members and the Texas Country Music industry as a whole. TCMA has become an energizing and influential force in the industry over the past 5 years, and together with the artists, musicians, businesses and industry professionals, we’re getting bigger and stronger every day. For more information about the Texas Country Music Association, it’s mission, goals and how to join, visit www.texascountrymusic.org. TCMA Members receive advance notice of all events and activities, special voting rights and discounts for tickets and merchandise. To become a Sponsor of the 2018 Texas Country Music Awards, visit www.texascountrymusic.org. CARTHAGE, TX (September 5, 2017) – In light of the recent destruction along the entire Texas Gulf Coast due to Hurricane Harvey, the 2017 Texas Country Music Awards will not only honor Texas' top country music fan voted favorites, and offer performances by 4 decades of Texas Country Music artists, but will also focus attention on the devastation caused by Hurricane Harvey. Texas Country Music Association President Linda Wilson states, "Lives have been uprooted because of the hurricane and flooding along the Texas coast. TCMA has several members and friends who have completely lost their homes, vehicles and belongings -- some even their jobs and income. Not everyone will understand this, but musical artists of all genres have suffered from the loss of their livelihood due to damage of their equipment and forced cancellations of their performances. I've heard from many who have lost musical instruments and resources such as recording equipment and studios, live music venues and even their full time jobs, and the list goes on. I'm excited to say that the Texas Country Music Association has partnered with Guitar Center to help replace musical equipment and become donation drop off locations. We're working out details now, but will be announcing them as they develop." Texas Country Music Artist, Brandon Rhyder, who will Host and also perform at the event, says "My family and I are heartbroken over the devastation the hurricane has caused...our prayers go out to all." Rhyder also announced that from September 2 forward, 100% of the proceeds of downloaded sales of his latest single, "They Need Each Other", will be donated toward hurricane relief efforts. The TCMA has also earmarked all proceeds from their merchandise sales to be donated toward relief organizations and local churches and food banks in the affected areas. In addition, the Texas Country Music Association's charity fund, Texas Country Cares, is accepting contributions to be used for those purposes. "We will be talking a lot in days to come and at the Awards show about how we, as an organization can help those in need. Many benefits have already been organized, and there will be many more in the months to come," says Linda Wilson. "Some might have thought the hurricane has disrupted us all as well as the 2017 Texas Country Music Awards, but it's actually the opposite. It's helped us all remember we are Texas Strong and that everyone in our state stands together. This is a very exciting time and for just a few hours, we can do good by honoring and encouraging some very talented people." The 2017 Texas Country Music Awards will be held on September 28, 2017 at the Carthage Civic Center. Doors open to the public at 5:30pm and a Pre-Show will be performed by the popular southeast Texas group, Steve Mays and Three of a Kind Band, comprised of Steve Mays, Richard Wilson, Cody Wood, Vicky Moye and Marty Erwin, and special guest fiddler David Varnado. The Awards show will be filmed by at least 2 television programs to be aired at a later date in throughout the State. An additional 2 television stations will be providing live remotes, and several broadcast and internet radio stations will record and live stream the event. There will be performances by TCMA Spokesperson Mark Chesnutt, Host Brandon Rhyder, Bri Bagwell, Doug Supernaw, Jo-el Sonnier, Johnny Rodriguez and Christian Country Artist Del Way. Artist and Finalist Justin Todd Herod will also perform his very timely release, "Red White and Blue Ain't Black And White" which has gotten tons of attention in the wake of Hurricane Harvey. 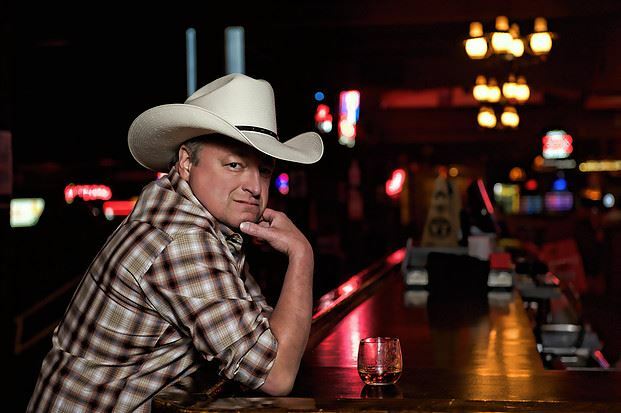 Twenty-three awards will be presented at the 2017 Texas Country Music Awards in these categories: Trailblazer Award – Mark Chesnutt, Entertainer of The Year, Male Vocalist of the Year, Female Vocalist of the Year, Vocal Group or Duo, Young Artist (16 & Under), Country Album Of The Year, Country Single of the Year, Radio Station of the Year, Radio DJ of The Year, Internet Radio Station of the Year, Live Music Venue of the Year, Christian Country Artist of the Year, Christian Country Single of the Year, Bassist of the Year, Fiddler of the Year, Guitarist of the Year, Keyboard/Pianist of the Year, Steel Guitarist of the Year, Drummer of the Year, Country Songwriter of the Year, Christian Country Songwriter of the Year and Ross Key Memorial Award – Volunteer of the Year. Texas Country Music Association Vice President Richard Wilson says, “As a musician myself, I’m so happy to see the Awards include several musician categories. It’s very satisfying to see how excited they are to be recognized, and they certainly deserve it. I'm anxious to get the partnership with Guitar Center organized so we can replace instruments lost in the hurricane and flood.” Mr. Wilson is drummer and performer himself and will perform with the opening band. Tickets to the 2017 Texas Country Music Awards as well as additional information about the TCMA, its purpose, plans, membership and goals are available on www.texascountrymusic.org. CARTHAGE, TX (February 22, 2017) – The Texas Country Music Association, Inc. announced that the Texas Country Music Awards Show and Ceremony, to be held September 28, 2017 at the Carthage Civic Center in Carthage, TX will include special appearances by three well known Country Artists. TCMA Spokesperson, Mark Chesnutt will perform at the awards show, and will also receive the 2017 Trailblazer Award, a special award to honor him for his long-standing impact on the country music industry in Texas and worldwide. TCMA President, Linda Wilson, says, “It’s so awesome to have Mark Chesnutt as our Spokesperson. He’s the most amazing person and really cares about the people, the industry and what’s going on with TCMA." She states that among the awards presented will be the Trailblazer Award, which is unique to the Texas Country Music Association and designed to show the appreciation and respect due to those who have ‘blazed the trail’ for others. “Of course Mark will receive it this year! He’s certainly earned it.” she says. Chesnutt has had 14 number one hits, a few of which are “Too Cold At Home”, “Brother Jukebox” and “Almost Goodbye”, as well as many others. His new album, “Tradition Lives”, is his 15thstudio album and has already received rave reviews. Carthage, Texas native and popular Texas Country Artist Brandon Rhyder will not only perform but will also Host the 2017 Texas Country Music Awards. “Brandon is the perfect person to Host the Awards Show and we are so honored to have him. He’s a very talented and successful artist with 8 albums released, and he’s excited about being in his hometown to be part of it all,” says Wilson. A few of Brandon’s hits include “Lord, I Hope This Day is Good”, “That’s Just Me”, and “Freeze Frame Time”. Other performers will be added and announced as schedules are confirmed and voting concludes. Awards and voting categories include: Entertainer of the Year, Male Vocalist of the Year, Female Vocalist of the Year, Vocal Group of the Year, Album of the Year, Single of the Year, Christian Country Artist of the Year, Christian Single of the Year, Musician of the Year, Radio Station of the Year, Radio DJ of the Year, Live Music Venue of the Year, as well as Songwriter of the Year, which will be determined in the 2017 Songwriter Contest that ends April 30, 2017. Country music fans do not need to be a member of the TCMA to nominate or vote; however, TCMA Members' votes will be doubled. All membership levels include special voting rights and advance ticket notices for the Texas Country Music Awards and other TCMA sponsored events. Fans have their own membership category and can go join at www.texascountrymusic.org by choosing the Individual Membership level, and there are membership levels for artists, venues, media and businesses. “For all the fans out there, this is yet another opportunity to support and help us promote their favorite Texas artists even more.” says Wilson. There are Awards Show Underwriting Sponsorship opportunities available now. To request information, email tcma@texascountrymusicassociation.org. The Texas Country Music Association, Inc. is a 501c3 nonprofit organization whose goal is to aid in the success of not only artists and fans but also professionals, venues, media, businesses and individuals who work diligently behind the scenes to make it all happen. More information is available at http://www.texascountrymusic.org. Contact: Texas Country Music Association, Inc.
Carthage, Texas -- February 1, 2017 - The Texas Country Music Association, Inc., is pleased to announce that the 2017 Texas Country Music Awards show is scheduled to be held on September 28, 2017 at the Carthage Civic Center in Carthage, TX. Nominations will begin in May, 2017 and will be accepted from Fans well as the Texas Country Music Association members online. Texas Country Music Association, Inc. 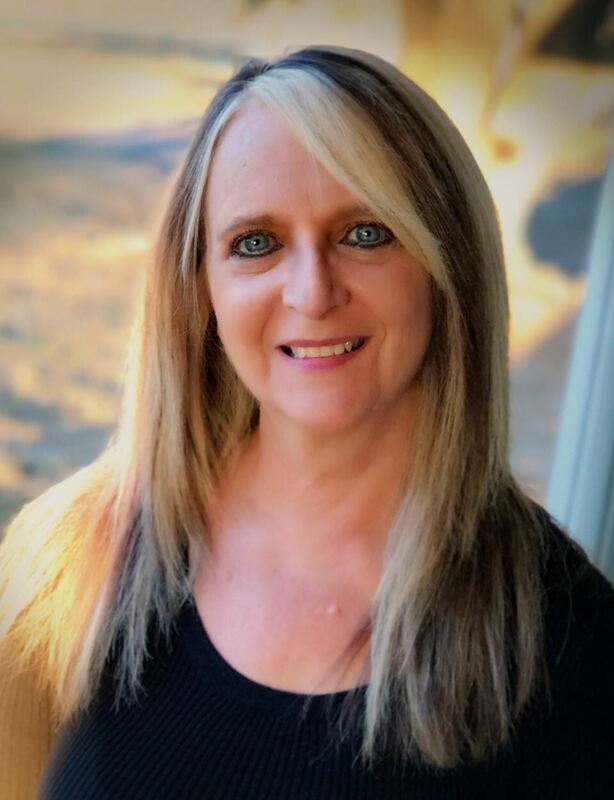 Founder and President, Linda Wilson said, “I'm very excited to be producing the Texas Country Music Awards, and I know that we will be able to shine a light on the greatest talent that resides in and travels through our state. The fan participation in Texas is tremendous, so we expect an incredible amount of involvement from Country Music fans during our nomination and voting processes. For fans, this is an opportunity to support their favorite Texas artists and help them advance even further." Country music fans do not need to be a member of the TCMA to nominate or vote; however, TCMA Members' votes will be doubled. All membership levels include voting rights and advance ticket notices for the Texas Country Music Awards. Fans have their own membership category and can go join at www.texascountrymusic.org by choosing the Individual Membership level. There are also membership categories for Artists, Media, Venues, and Businesses. Voting categories include: Entertainer of the Year, Male Vocalist of the Year, Female Vocalist of the Year, Vocal Group of the Year, Album of the Year, Single of the Year, Songwriter of the Year, Christian Country Artist of the Year, Christian Single of the Year, Musician of the Year in various instrument categories, Radio Station of the Year, Radio DJ of the Year, Live Music Venue of the Year and a Lifetime Achievement Award. Other categories include Producer of the Year, Promoter of the Year, and a few more. The Texas Country Music Awards is currently implementing the 2017 Songwriter Contest & Awards for both Country and Christian Country songs. Contest judges are among the best and most influential in the Country Music industry. They are Heather Little, Rod Phelps, Tommie Ritter Smith, Del Way, Brad Maule, Hal Willis, Chris Christian, ‘Phat’ Matt Ganssle, Linda Wilson and Richard Wilson. The winner of this contest will be awarded 2017 Songwriter of the Year at the Texas Country Music Awards. For details on the judges, or to enter songs in the contest, visit www.texacountrymusic.org/songwriter. The Texas Country Music Association, Inc. is a 501c3 nonprofit organization whose goal is to aid in the success of not only artists and fans but also professionals, venues, media, businesses and individuals who work diligently behind the scenes to make it all happen. Country Superstar Mark Chesnutt is the TCMA Spokesperson. More information is available at http://www.texascountrymusic.com.